Quality calories for those super-mass gains. What is BSN TRUE MASS 1200? 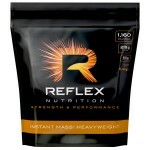 For the purest mass gains, you need a mass gainer that delivers. 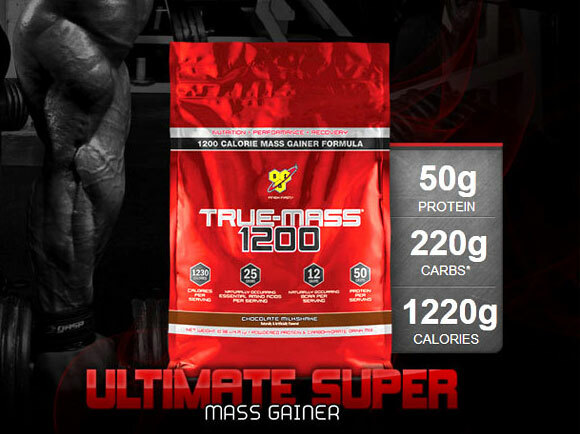 TRUE-MASS® 1200 is an ultra-premium mass gainer, engineered to deliver you with quality calories to help you grow. When you’re looking to pack on some size, combining smart eating with a highly nutrient-dense formula is the answer. TRUE-MASS® 1200 will support gains by delivering you with an ultra-premium protein and carb matrix. Its dual carb sources include oat flour, a superior source of carbohydrates to help you get the most from our training. 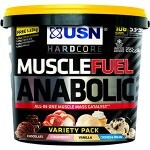 Delicious flavours make it the ideal supplement when you need more from your nutrition. How does BSN TRUE MASS 1200 Work? Quality sources mean you’re not bulking up on low-grade ingredients. Utilises the SYNTHA-6® flavour technology to ensure you enjoy a remarkably rich and satisfying shake. What Ingredients Are In TRUE MASS 1200 ? 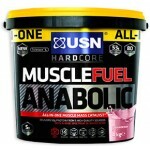 Kinetica Oat Gain 4.8Kg Scientificall..
What is Muscle Fuel Anabolic?USN Muscle ..
Biotech Hyper Mass 4kg ..
Kinetica Oat Gain 2.4KG Scientificall..
BIOTECH USA MEAL REPLACEMENT MEAL..
Biotech Hyper Mass 1kg ..